In a small microwave safe bowl, heat 2 cups of your light green candy melts on 50% power for 3 to 4 minutes, stirring every 30 seconds until melted. 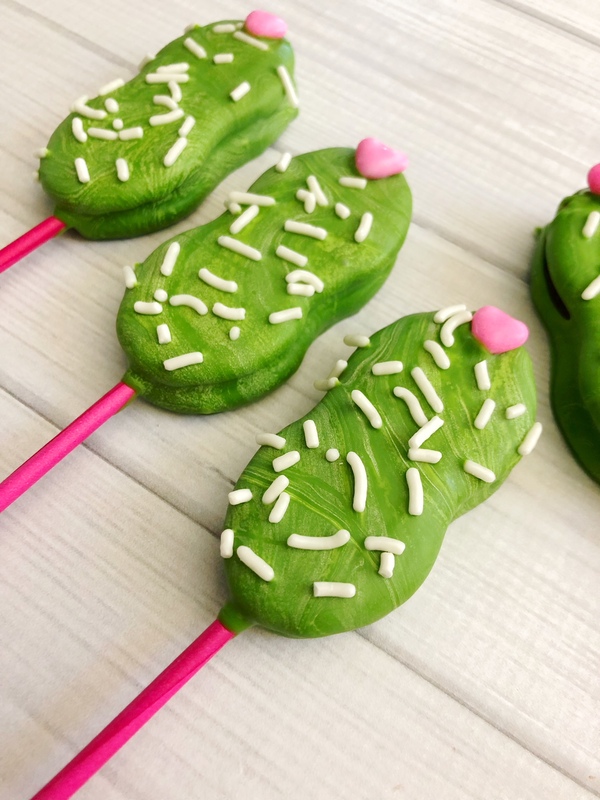 Dip each lollipop stick into your melted green chocolate and onto the center of half of the opened cookies. Carefully transfer your cookies to the freezer for five minutes for the chocolate in the center to harden. Dip each cookie into the melted chocolate to coat them green, let any excess drip off. Place onto your parchment paper, top with sprinkles and a heart candy on top. Transferred to the freezer for 10 minutes for the chocolate to harden. Drop a comment below and tell me what summer fun recipes you want to make with your family or for the office crew. My niece would like making these with her friends. Thanks for sharing. 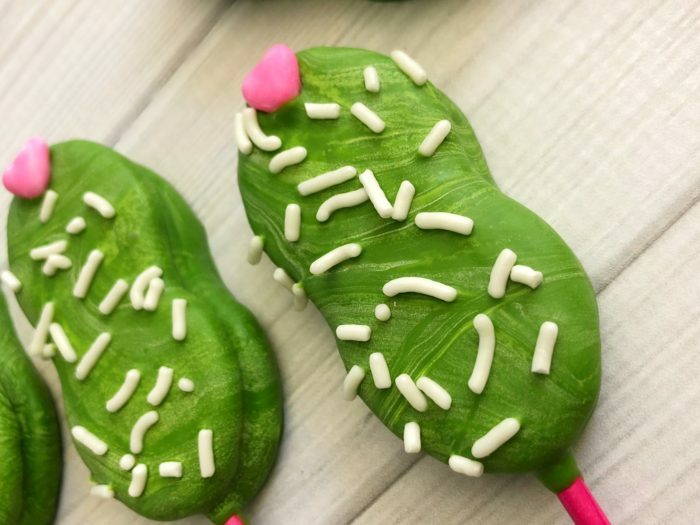 What a cute idea for a summer party or celebration. 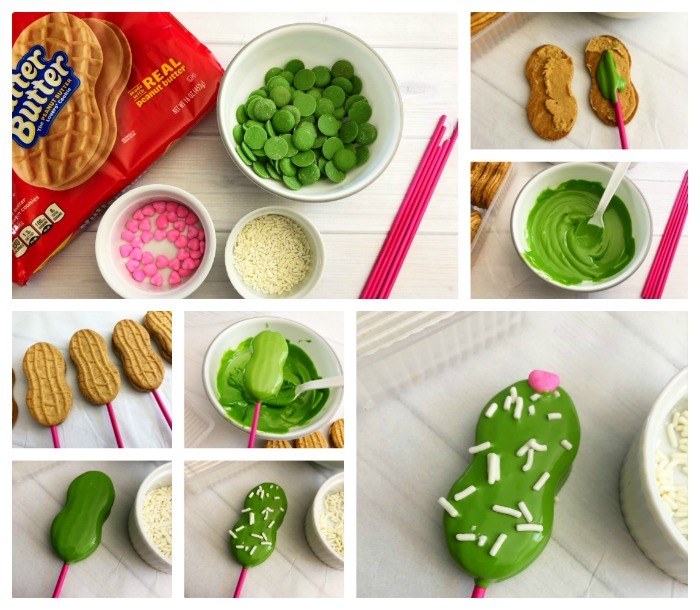 This is such a creative & fun recipe! Definitely going to make it. Thanks!